Roger Federer serves to Serbia's Dusan Lajovic during the Wimbledon on Monday in London. Federer won 6-1, 6-3, 6-4. 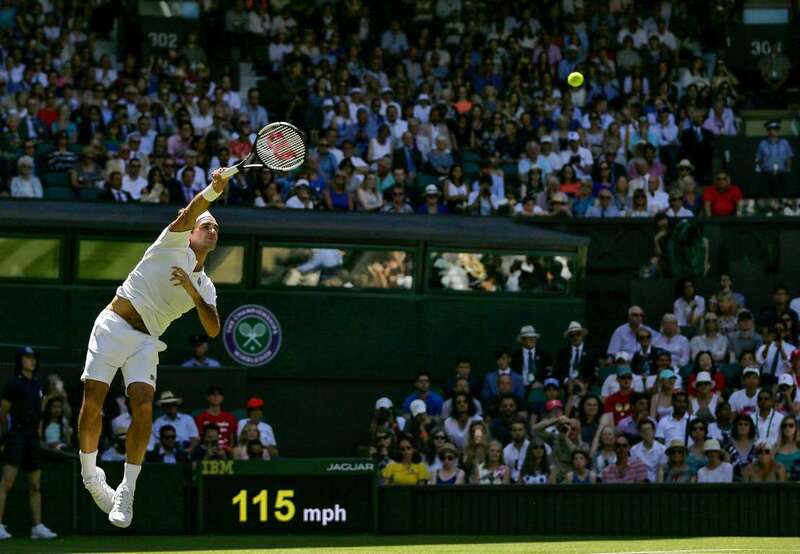 Like a symphony Roger Federer serves to Serbia's Dusan Lajovic during the Wimbledon on Monday in London. Federer won 6-1, 6-3, 6-4. A Mexico fan blows a kiss before the World Cup match against Brazil Samara, Russia. Brazil won 2-0. 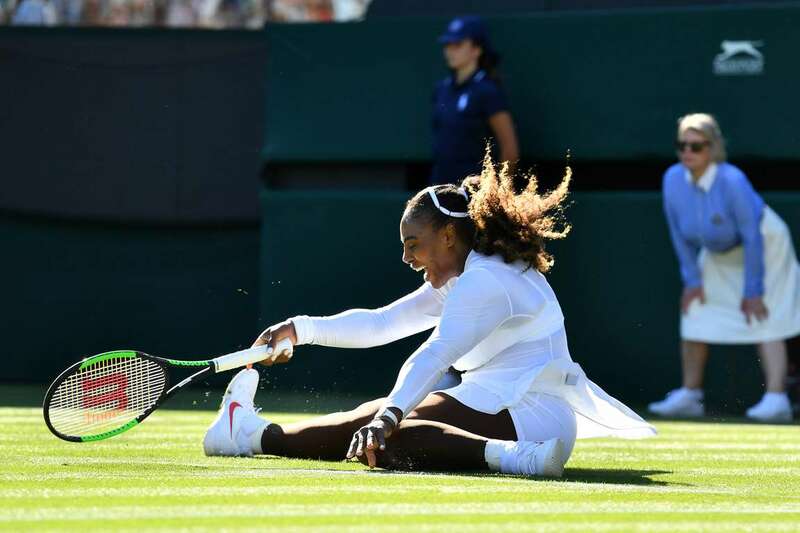 Serena Williams slips on the grass as she tired to return against Netherlands' Arantxa Rus during their singles match at the Wimbledon on Monday in London. Serena Williams won 7-5, 6-3. 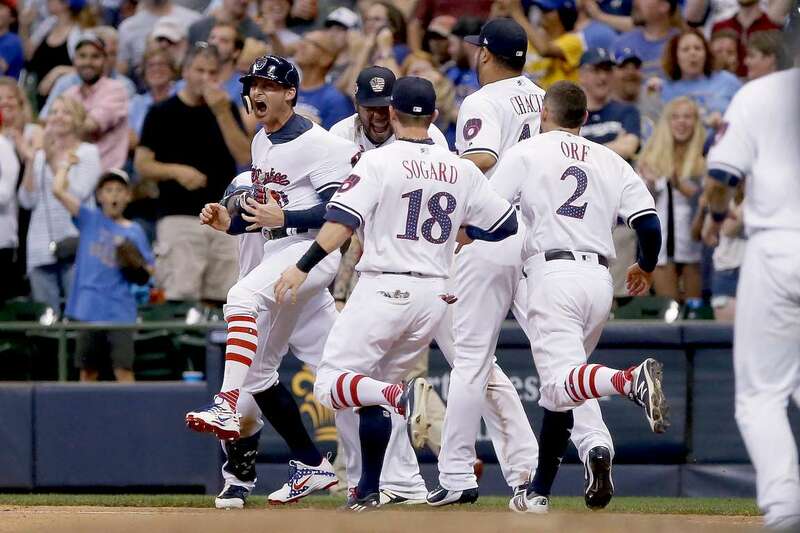 Brad Miller of the Brewers celebrates with teammates after drawing a walk with the bases loaded to beat the Twins 6-5 in ten innings on Monday in Milwaukee, Wisconsin. Brad's the hero Brad Miller of the Brewers celebrates with teammates after drawing a walk with the bases loaded to beat the Twins 6-5 in ten innings on Monday in Milwaukee, Wisconsin. 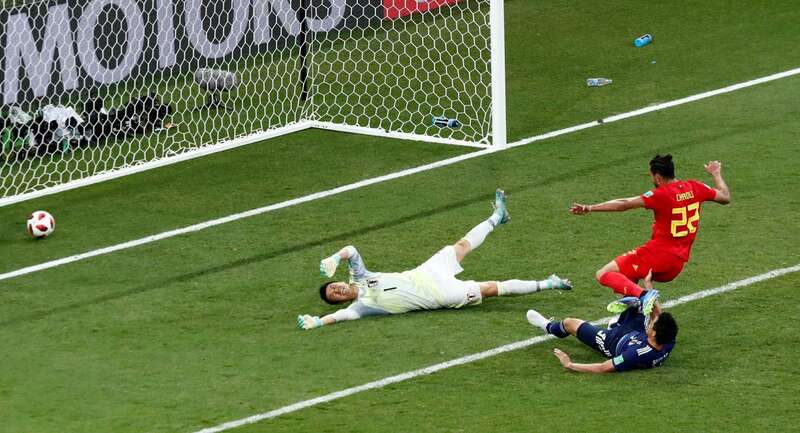 Belgium's Nacer Chadli scores the winning goal against Japan during the World Cup on Monday in Rostov-on-Don, Russia. Belgium won 3-2. Coco Vandeweghe of the United States reacts during her Wimbledon match against Czech Republic's Katerina Siniakova on Monday in London. Siniakova won 6-7 (3), 6-3, 8-6. Agony Coco Vandeweghe of the United States reacts during her Wimbledon match against Czech Republic's Katerina Siniakova on Monday in London. Siniakova won 6-7 (3), 6-3, 8-6. 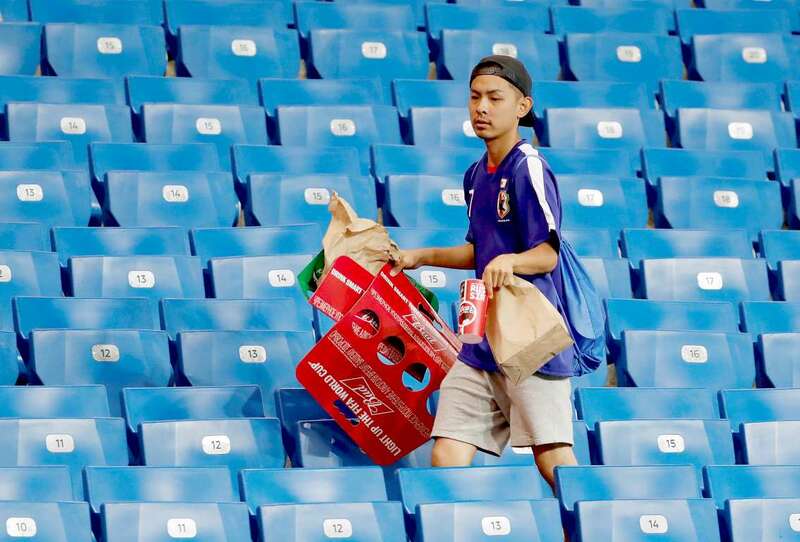 Japan fan picks up litter in the stadium after the World Cup match between Japan Vs Belgium on Monday in Rostov Arena, Russia. South Korean basketball players walk to board a plane to leave for Pyongyang, North Korea, to participate in inter-Korean basketball matches on Monday in Seoul, South Korea. Both North and South Koreans will face each other in Pyongyang on July 4 and 5 to commemorate the announcement of the South and North Joint Communique in 1972. Caroline Wozniacki of Denmark returns the ball to Varvara Lepchenko of the United States during the Wimbledon on Monday in London. Wozniacki won 6-0, 6-3. Easy pickings Caroline Wozniacki of Denmark returns the ball to Varvara Lepchenko of the United States during the Wimbledon on Monday in London. Wozniacki won 6-0, 6-3. The Dodgers' Matt Kemp hits a three-run home run in front of Pirates Jacob Stallings and plate umpire Laz Diaz on Monday in Los Angeles. The Dodgers won 17-1. 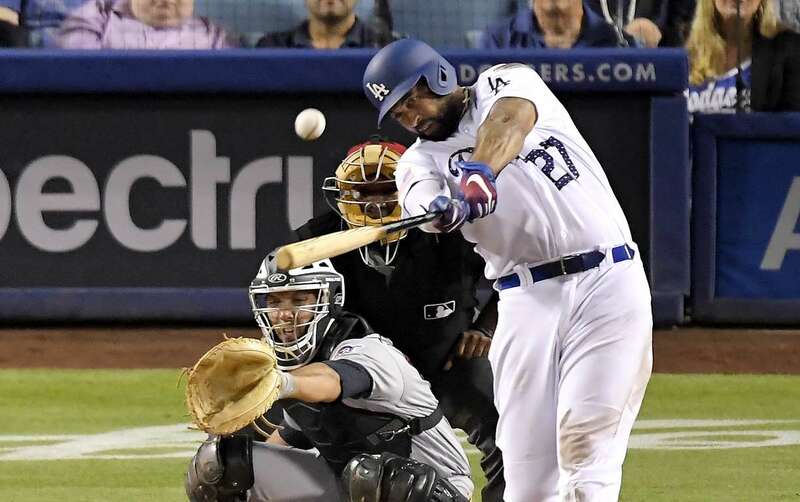 Home-run swing The Dodgers' Matt Kemp hits a three-run home run in front of Pirates Jacob Stallings and plate umpire Laz Diaz on Monday in Los Angeles. The Dodgers won 17-1. 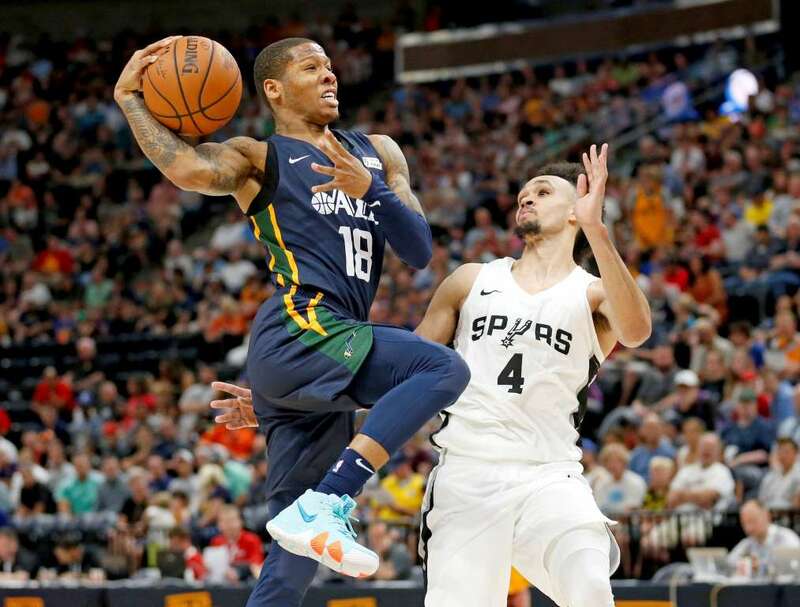 The Jazz's Jairus Lyles goes to the basket as the Spurs' Derrick White defends during the NBA summer league match on Monday in Salt Lake City. The Jazz beat the Spurs 92-76. Fitriani of Indonesia competes against Ratchanok Intanon of Thailand during Singles Round 1 of the Indonesia Open on Tuesday in Jakarta. 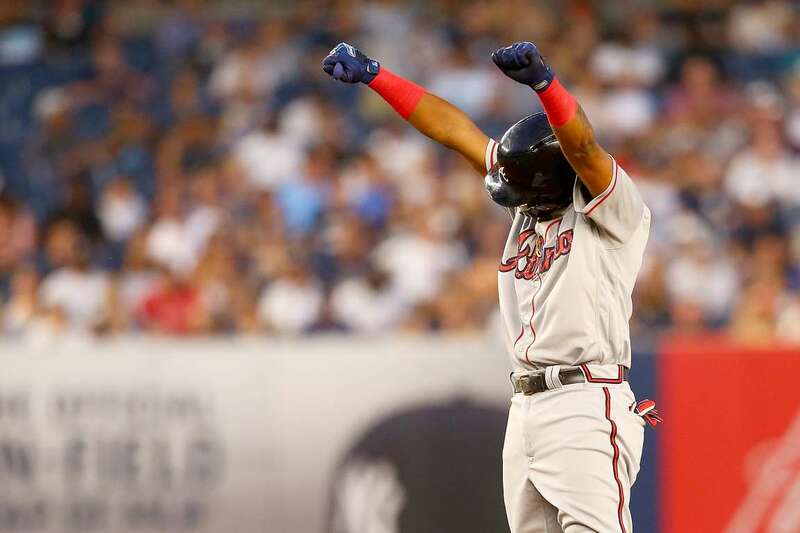 Ronald Acuna Jr. of the Braves celebrates after hitting a RBI double in the top of the fourth inning against the Yankees on Monday in the Bronx borough of New York City. The Braves won 5-3. 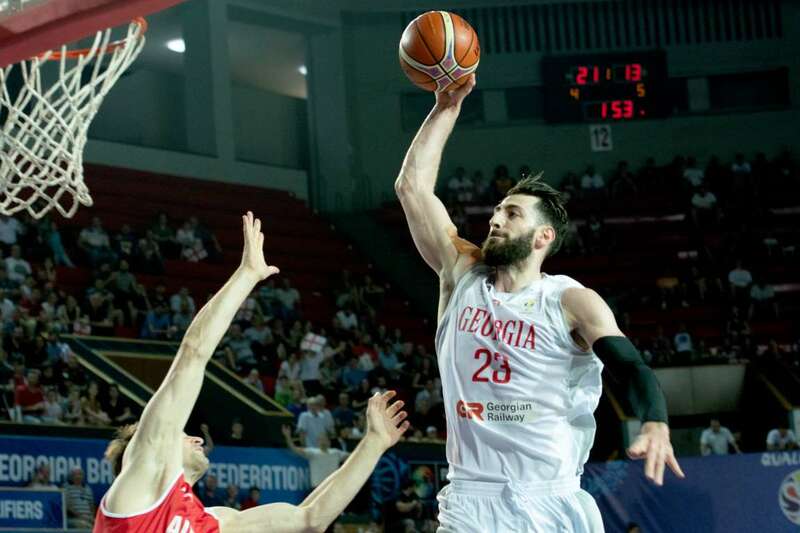 Tornike Shengelia of Georgia dunks the ball during the FIBA World Cup Qualifier match against Austria on Monday in Tbilisi, Georgia. Georgia won 98-73. 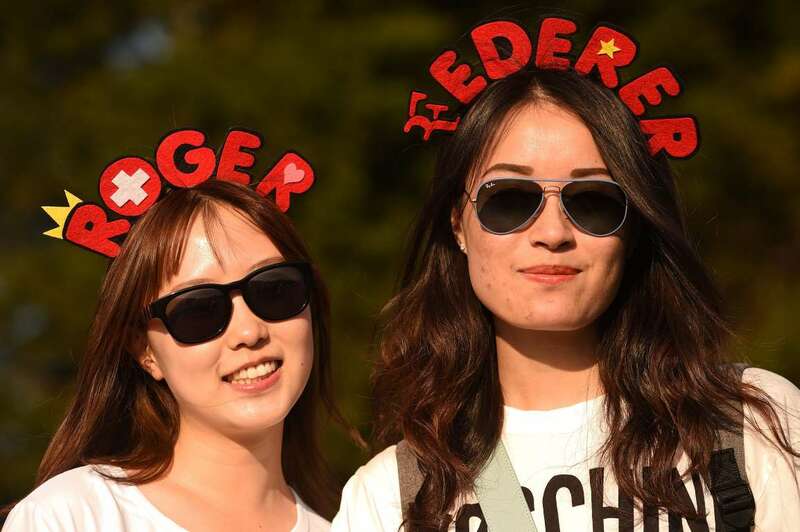 Roger Federer's fans pose as they queue for tickets outside The All England Tennis Club in Wimbledon on Monday. 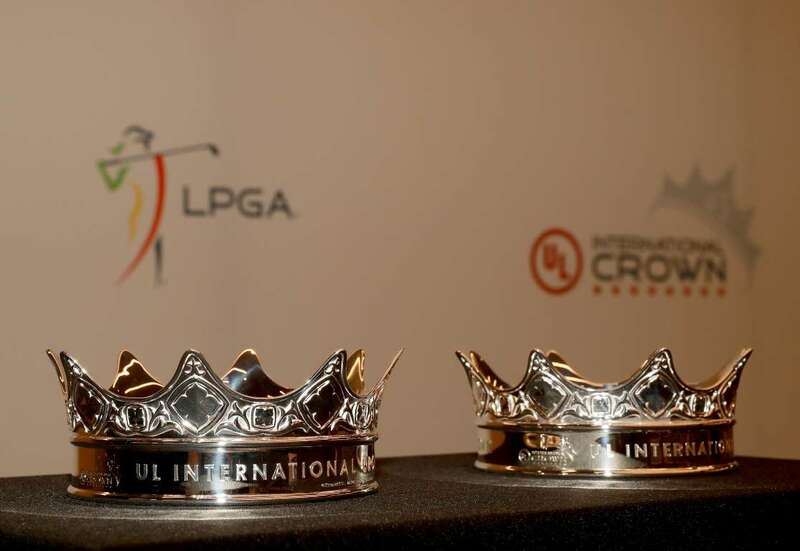 A set of crowns on display at the UL International Crown Press Conference on Monday in Northbrook, Illinois.